Jurgen Klopp will reportedly step up his efforts to sign Christian Pulisic amid growing interest from across Europe. The Liverpool boss is a long-term admirer of the USA international having worked with him briefly during the latter stages of his time at Borussia Dortmund. After seeing his exit at Dortmund coincide with Pulisic’s emergence, Klopp made an unsuccessful £11million bid for the forward in 2016 in an attempt to bring him to Merseyside. Two years down the line and Pulisic is now valued upwards of £70million as one of football’s in-demand commodities. Pulisic has previously been touted as a potential long-term replacement for Philippe Coutinho, with Liverpool yet to fully compensate for the loss of the Brazilian’s invention. The 20-year-old has predominantly featured in a wider role for Dortmund, but has often displayed the traits capable of seeing him transition into a more central playmaking role. Whether it be Liverpool or elsewhere, Pulisic looks increasingly likely to leave in 2019 as negotiations over a new contract continue to stall. It was recently reported by the Daily Mail that Chelsea had edged ahead in the race for the American, with the club keen to strike a deal as soon as January in fear of an upcoming transfer ban. 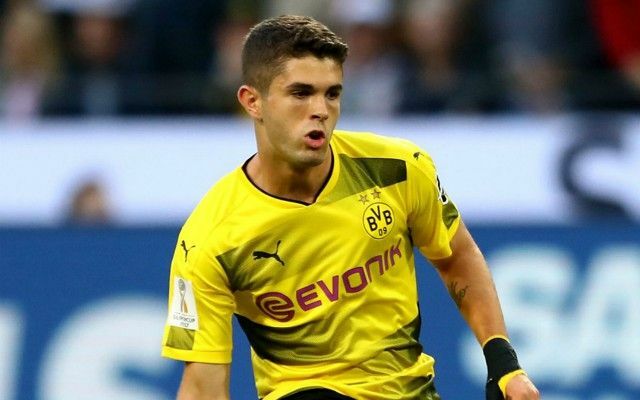 The form of Jacob Bruun Larsen and Jadon Sancho has seen Pulisic limited to just four starts in the Bundesliga so far this season.